If you’re going to lounge around the house in your pajamas all day, you’d be better off ditching your overstretched gray sweatpants for a pair of Punjammies. Available in myriad colorful prints, the lightweight cotton pants are just what July’s sultry temperatures ordered. There’s a feel-good story to go with them, too. Handmade in an after-care facility in India using natural dyes and traditional kalamkari block-printing techniques, each short, capri, or trouser provides fair-trade wages to a woman who has escaped a life of forced prostitution. Thank you SO much for mentioning our PUNJAMMIES� and helping spread our message of hope for these women and their children! You are helping make a difference towards ending forced prostitution and we appreciate your support!! ? I traveled alone in India in October 2015. It changed my life. Many of my friends advised me not to go alone, and many told me that I would not enjoy it. I loved it, and I met amazing people. I came home energized about supporting education and freedom for the women of India, and so, this Spring I am dreaming of India, and the better future I hope it holds for all my sisters. If you're going to lounge around the house in your pajamas all day, you'd be better off ditching your overstretched gray sweatpants for a pair of Punjammies. Available in myriad colorful prints, the lightweight cotton pants are just what July's sultry temperatures ordered. There's a feel-good story to go with them, too. 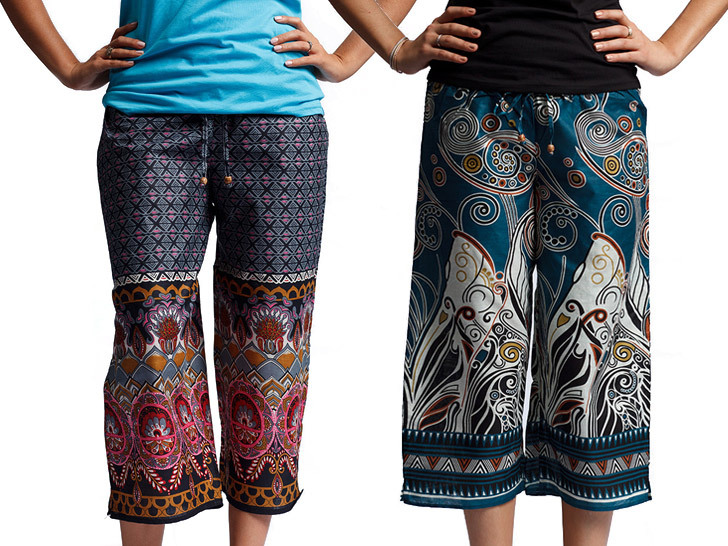 Handmade in an after-care facility in India using natural dyes and traditional kalamkari block-printing techniques, each short, capri, or trouser provides fair-trade wages to a woman who has escaped a life of forced prostitution.